The Kellogg Center for Global Marketing Practice helps academic and marketing professionals work together to solve real problems with academic rigor and disseminate what is learned. GMP promotes knowledge sharing and communication by linking academic research to practitioners, corporations, foundations, and other institutions to advance marketing knowledge and stimulate global marketing thought leadership. The Center is governed by Kellogg’s belief that students and practitioners learn best when given opportunities to apply rigorous research-based theory to real-world marketing issues of pressing importance to today’s businesses. 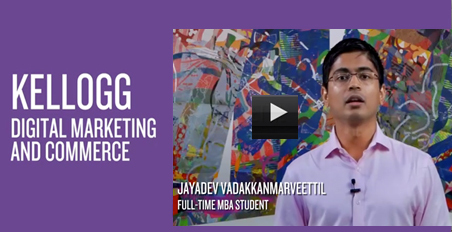 Global marketing practices are emphasized, reflecting the diverse international composition of Kellogg’s faculty, students, alumni, and academic ties, our widespread relationships with alumni and businesses around the world, as well as our continuing goal of shaping the creation and worldwide dissemination of marketing data, analysis, and insights.